Precision cut in japan, the battens soften the façade while simultaneously elevating the building’s street presence. 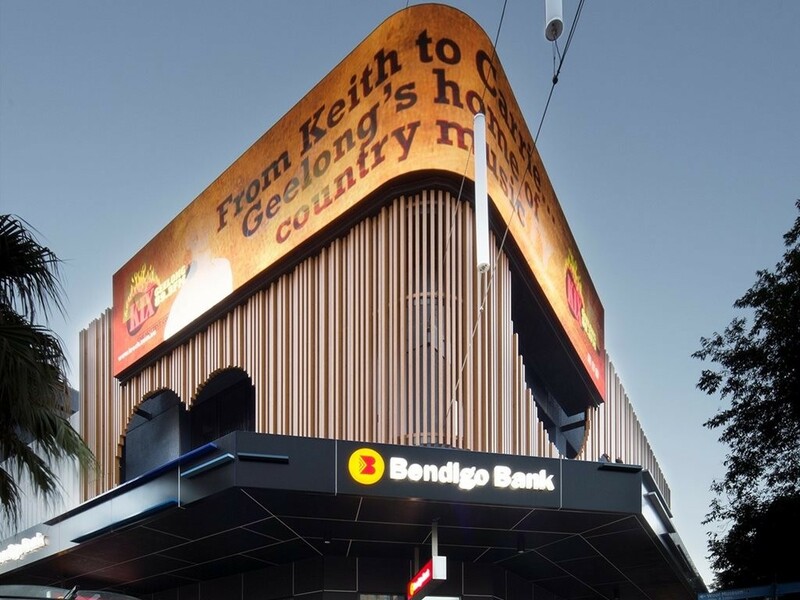 The aluminium cladding with photorealistic timber finish forms part of Covet’s Ever Art Wood collection and offers a maintenance free, dimensionally accurate, lightweight alternative to timber and steel. The Mitzosuki bolt fix battens are the main feature of the project. Wrapping around the corner of the building, the custom powder-coated blue battens give a subtle nod to the building’s broadcasting roots, being reminiscent of a radio equaliser. Covet also supplied products for the interior of the project, including the 1x2 metre Art Board panels on the ground floor cladding, as well as the concrete tiles in the lobby. Installation was carried out by City to Coast Stainless and Alclad Architectural.